The major new functionality included in TURBOdesign Suite v6.7 includes new modules in TURBOdesign Pre for the meanline design of axial fans and pumps stages and predicting the performance map of radial inflow turbines has been added. The prediction module makes use of the newly developed loss models. Examples are shown in Figure 1 and Figure 2. 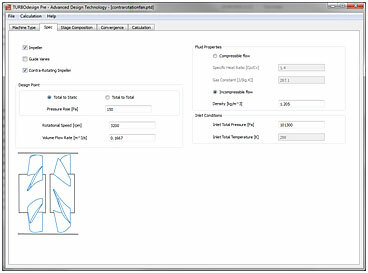 TURBOdesign Pre will generate the TURBOdesign1 input files for 3D blade geometry generation. Figure 1: Axial fan module for the design of an axial fan impeller with contra-rotating impeller. Figure 2: Meridional geometry of an axial fan impeller with contra-rotating impeller. Figure 3: (a) Axial pump module for single impeller, (b) The 3D blade geometry created by TURBOdesign1 based on the design generated by TURBOdesign Pre. New improved loss models for radial inflow turbine design have been developed to replace the original ones. The performance map can be generated for both ideal and real gas. The examples are displayed in Figure 4 and Figure 5. 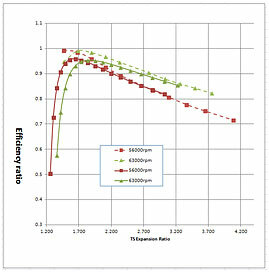 Figure 6 shows consistency between the CFD results and the estimation computed by TURBOdesign Pre. Figure 4: Radial inflow turbine performance map: mass flow rate and efficiency to T-S expansion ratio. Figure 5: Radial inflow performance map: mass flow rate and efficiency to rotational speed. Figure 6: Comparison between the solution from CFD (dash lines) and the estimation from TURBOdesign Pre (solid lines). 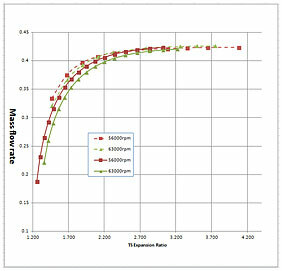 (a) Mass flow rate to T-S expansion ratio; (b) Efficiency ratio to T-S expansion ratio. 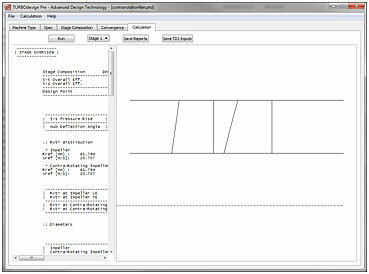 Script version of TURBOdesign Pre for automated exploration of the design space in generating the meanline design to cover multiple operating points. A new blade geometry construction system that allows for high definition and more robust modelling of all blades. 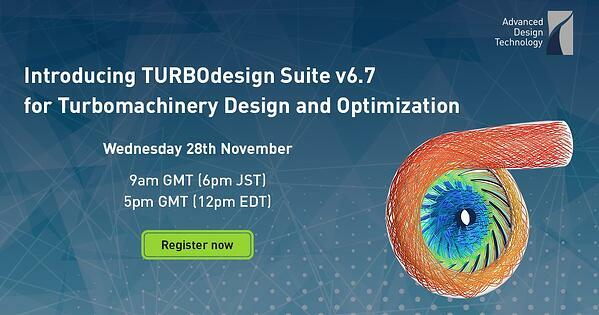 Register for our webinar on Wednesday 28th November to see the new TURBOdesign updates.